The predicted incidence of animal cruelty in the upcoming term of NSW Parliament has already been significantly reduced. There’s still work to be done getting rid of Mark Latham. 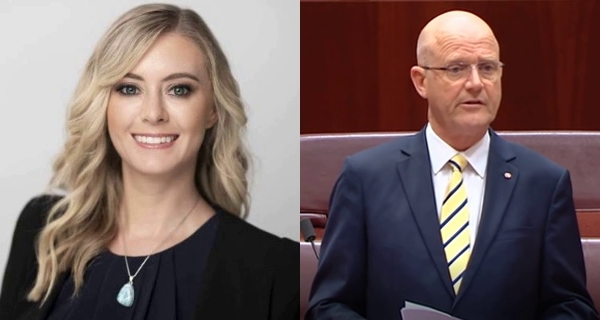 Advocates of justice for animals have secured a big win overnight with the news that David Leyonhjelm has failed to secure a seat in the NSW upper house. Poetically, he was beaten by Animal Justice Party candidate Emma Hurst. The anti-animal cruelty candidate’s advocacy is off to a flying start now that Leyonhjelm’s savage views on guns, smoking, women’s sport, wicked campers, anti-poverty charity workers, the pension, climate change, the mining tax, carbon pricing, paid parental leave, his own wife, racial discrimination, and female colleagues will only be heard in the privacy of his pigsty rather than the floor of state parliament.